This autism awareness t-shirt is sure to do the talking for you! Wear our Autism awareness clothing to show our support for the cause and let everyone know you will stop at nothing to spread awareness. 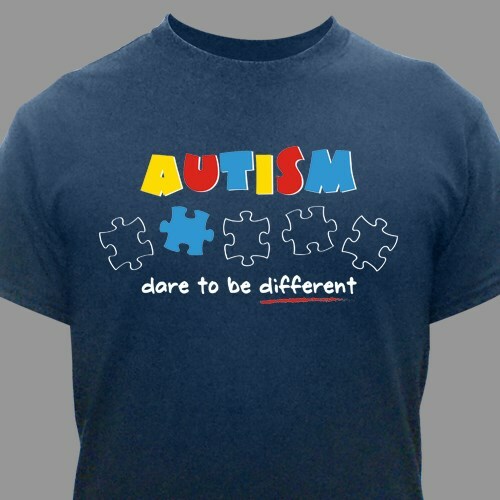 This great Dare to be Different puzzle piece design is available on our premium 100% cotton navy t-shirt. The t-shirt is machine washable and is available in youth sizes XS-L and adult sizes S-3XL.